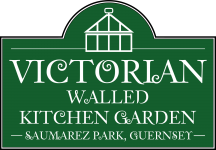 After a coat of paint and a spring clean, the shop at The Victorian Walled Kitchen Garden at Saumarez Park will re-open at 10am on Saturday 27 February. We will be selling unusual Mother’s Day Gifts made by VWKG’s talented group of crafters who enjoy spending their time making unique items. No two items are identical and new creations are always on display. Priced from £1 – £30 our handmade gifts include jewellery, bags, paintings, shawls, tea-cosies and other items handcrafted from wood and willow, slate, fabric and wool. Heritage seeds, preserves, jam, baby clothes, coasters, key-rings and cards are also for sale. As well as making items at home, the crafters meet every Monday from 3pm-5pm in the Small Walled Garden’s portacabin. New crafters are always welcome to come along and chat whilst crafting. If you enjoy making things but have no outlet to sell, then please call Jan Le Tissier on 246960. Mothering Sunday falls on Sunday 6 March this year. On Saturday 5 March we’ll be holding a Mother’s Day Card Workshop for friends and family. More details to follow. For keen gardeners, this is also a good time to see the Victorian Walled Kitchen Garden at bare root level before all things bright and beautiful start popping up for Spring and Summer 2016. 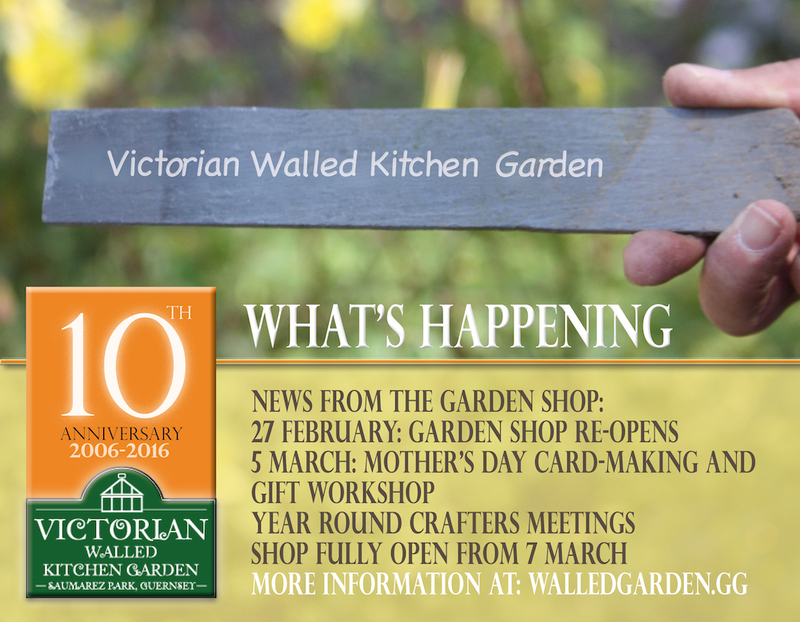 Any questions or for general enquiries, please email Ivan Le Tissier, Garden Administrator on info@walledgarden.gg or by telephoning 246960. Free entrance to the garden and our events. The Victorian Walled Kitchen Garden is entirely run by volunteers with no outside funding. We rely on your visits, involvement, donations and support.